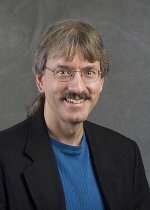 A Science magazine "editor's choice" article discussed recent work by Dr. Steven Smith, senior scientist at Pacific Northwest National Laboratory. The article, "Which Emissions to Reduce?" covered Smith's new results concerning the merits of prioritizing reducing climate-affecting pollution emissions that have a short life in the atmosphere, versus focusing on reducing long-lived greenhouse gases. The publication concludes that a policy of targeting short-term climate forcers may not achieve the reductions in climate change that previous work had postulated. Smith is well-known for his research on the role of pollutant emissions in scenarios of future climate change. He works at the Joint Global Change Research Institute, a partnership between PNNL and the University of Maryland. Read the full article.